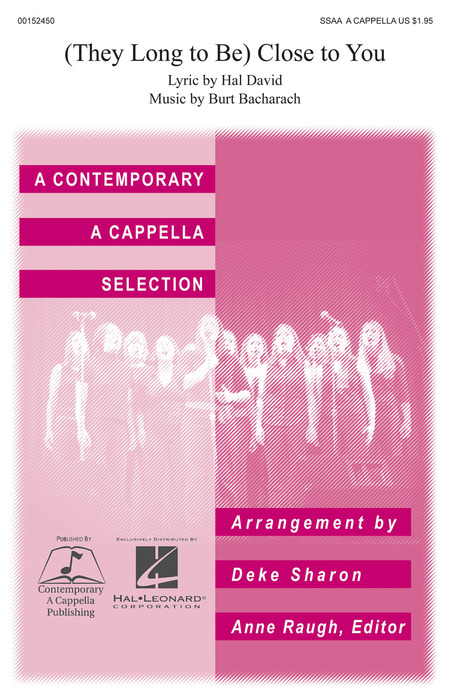 A collection of SSAA and SSA a cappella sheet music arrangements for female voices. 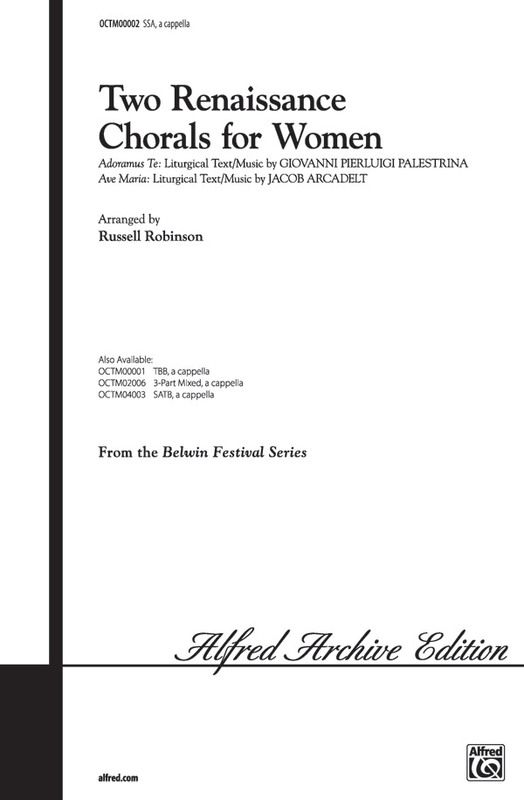 Vocal harmony arrangements for female singing groups. Displaying 1-50 of 178 items. 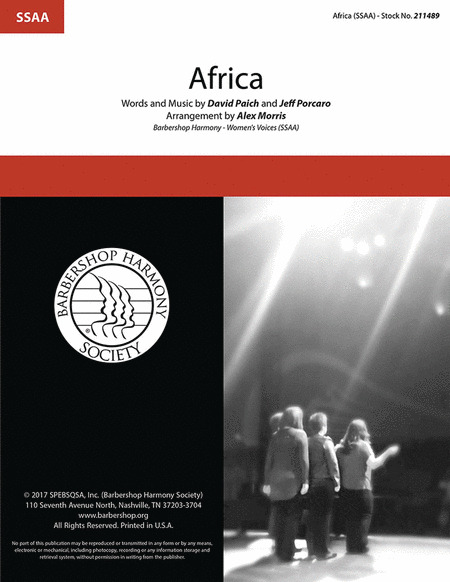 Ten easy three-part a cappella arrangements of inspirational songs, for either SSA or SAT choirs, with a piano part for convenient rehearsal. All of these rousing pieces are presented in new arrangements by Barrie Carson Turner. Bringing together ten timeless songs of faith, celebration and inspiration, Just Voices: Classic Pop is an ideal introduction to mastering the a cappella style. Perfect for your next concert or as a fun treat for your choir. 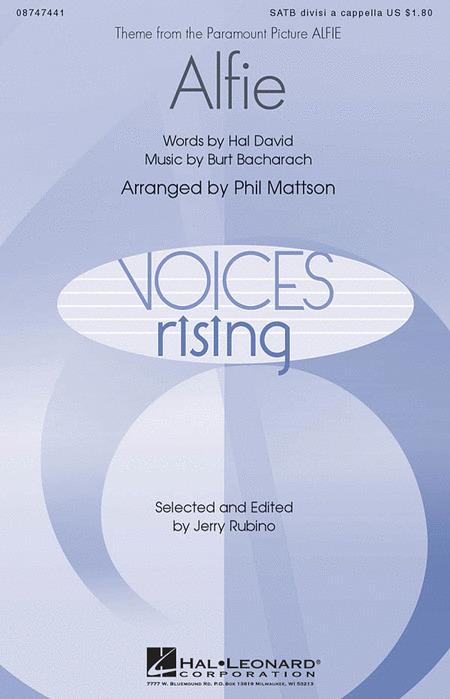 Just Voices Jazz brings together ten timeless jazz songs that make an ideal introduction to mastering the a cappella style. "The A Cappella Singer" books, of which this is the second, are designed to bring much of this music in most engaging variety and excellence into schools, colleges, universities, clubs, communities and homes. While the other books in this series are designed for either the male or female voice, this book is designed for a mix of both, containing Madrigals and Ayres with all their grace, wit and lyrical charm; the ineffably lovely and truly religious music of Bach, Brahms and other composers nearer our own times; and fine arrangements of folk songs: this is an endlessly rich field containing most of the best choral music in the world. Generally recognized as the father of the Neo-Romantic movement in music, David Del Tredici has received numerous awards (including the Pulitzer Prize) and has been commissioned and performed by nearly every major American and European orchestral ensemble. "Del Tredici," said Aaron Copland, "is that rare find among composers - a creator with a truly original gift. I venture to say that his music is certain to make a lasting impression on the American musical scene. I know of no other composer of his generation who composes music of greater freshness and daring, or with more personality." From Del Tredici's Program notes: "In this traumatic post-9/11 world, I felt an urge to connect with, and even comfort, the youngest generation of budding musicians. Heart and felt are two words that directed my choice of texts: I wanted to tell something about myself, as well as about the joys of childhood ... Stevenson's "The Little Land" re-creates the imaginitive world that to daydreaming children seems so natural." David Del Tredici writes: "My setting of the 1727 New England Primer's "Alphabet" might horrify its Puritan author by transforming its simple text into an exuberant tour de force. Its 26 couplets tumble upon one another in tight three-part counterpoint, testing the young performers' range and endurance alike." "Royals" - The pop megahit and Grammy-winning song of the year by Lorde will be an accessible and fun introduction to pop a cappella for younger SSA choirs! "Happy" - Younger or beginning a cappella groups will love this creative and upbeat song from Pharrell arranged for unaccompanied voices! "The Climb" - This Miley Cyrus song continues in popularity and offers an inspirational message for pop and spring programming in this unaccompanied setting. Katy Perry's #1 hit "Roar" was immensely popular with young singers, with its affirming message of strength and inspiration. 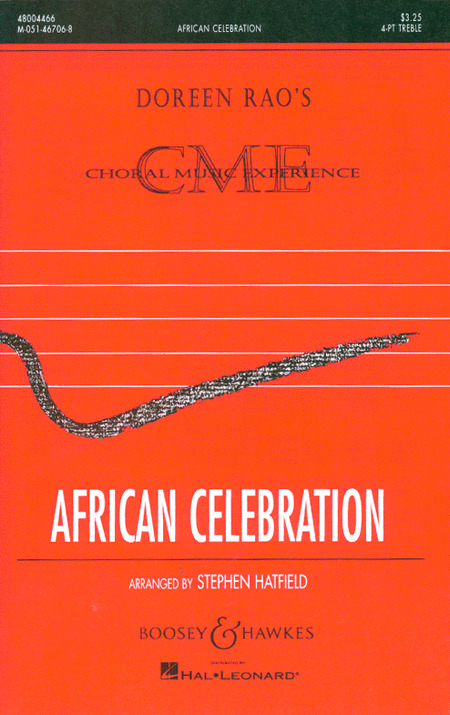 This accessible a cappella setting gives it a whole new dimension for developing choral skills and confidence. FUN (and challenging) contemporary songs for women's voices! Mariah Carey's "Always Be My Baby" is set for solo and four background parts, as is "My Lovin'." "Walking On Sunshine" is written for solo plus three background parts, while the others are written for 4 parts. "Fields of Gold" - If it wasn't written by Sting, this haunting melody could easily be a traditional English fold song. The melody moves through all four women's parts, with the background texture changing in each verse, ranging from arpeggiated polyphony to warm close harmony. "Here Comes the Sun" - Perfect for a spring concert, this bright Beatles classic features rich harmonies and light arpeggiated textures resulting in a warm sound without being too complex. The melody is in the Soprano 1 line, allowing either a group or individual solo. "Mama I'm A Big Girl Now" - This playful song from Hairspray brings the sound of the early 1960's to life with a universal theme. The many verses can be sung by different soloists. "Songbird" - Based on the Eva Cassidy recording, this honest, emotional ballad features light arpeggiated textures and soaring harmonies supporting a gorgeous, heartfelt soprano melody with occasional duet/trio lines. "When I'm Sixty-Four" - Playful, sweet, melodic... this arrangement brings out all of the best elements of this Beatles ditty, with the melody bouncing between the various voices. When your singers are sixty-four, they'll still be humming along to this timeless classic! "Time After Time" - A modern classic, this Cyndi Lauper ballad is perfect for an intermediate women's ensemble, ready to tackle gentle arpeggiations and delicate parallel harmonies. "Heart of Glass" - A powerful soprano solo sits atop your SATB band as the groove their way through this Blondie classic. A great way to introduce your singers to modern polyrhythms and non-standard syllables in a format that's easy for them to understand and internalize. "I Can't Make You Love Me" - With rich harmonies, delicate arpeggiations and a soaring, heartfelt melody, this showstopping Bonnie Raitt ballad makes a perfect penultimate number. "Imagine" - This simple, sweet setting of John Lennon's song of hope features a soprano soloist. Perfect for a group looking for a good first a cappella song, or a more advanced group interested in focusing on nuance and sincerity. 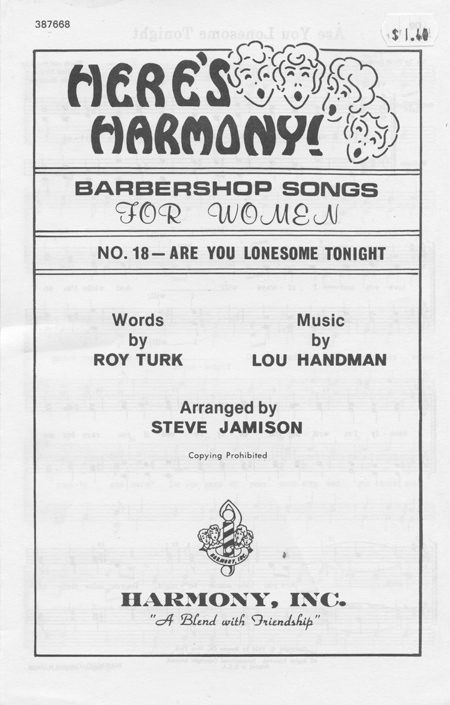 More classic songs for women's voices! These charts will get your group, and your audience, dancing in the aisles! All of the arrangements are four parts except "Dancing In The Streets" is 5 parts, and "Son of a Preacher Man" is 4 parts plus solo. More great pop hits that are becoming standards which also translate very well to a cappella treatments. Pat Benetar reached the top 10 with "Hit Me With Your Best Shot' and ""Let's Hear It For The Boy" from the movie "Footloose" was another big seller. Lisa Loeb has developed a sterling reputation as a great contemporary singer/songwriter and this arrangement by Deke Sharon of her "Stay" is a true delight. Four fun songs suitable for all. Includes Debbie Harry's (Blondie) pop hit "Call Me", the big hit for Betty Everett "The Shoop Shoop Song", The Everly Brothers classic "When Will I Be Loved" and the bound-to-please audience grabber "The Loco-Motion" which was an early hit as songwriter for Carole King. This five-movement major addition to the repertoire for women's chorus has widely differing voicings and textures. All the movements use Emily Dickinson's domestic images--bees, birds, balls of yarn--to express hopes and fears relating to the future and the past. Movement 1, 2, 4 and 5 are accompanied, Movement 3 is A Cappella. 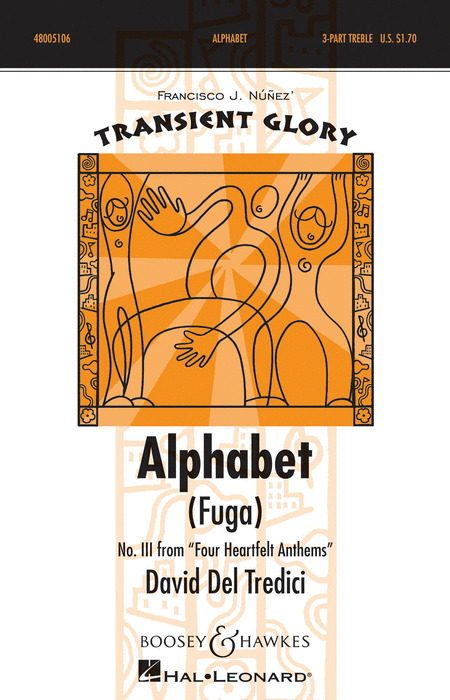 Launched in the year 2000, Transient Glory began as a concert performance series of the Young People's Chorus of New York City conducted by Francisco J. Nunez to advance the art of children's choirs throughout the world. The Transient Glory choral series is designed and developed by its editor as a commitment to young voices singing glorious music during that short, transient period of childhood. This new edition of Holst's beloved settings (from Tennyson's long narrative poem) reveals them to be models of musical economy for the time-starved teacher, as well as gems of pure loveliness. Devices such as antiphonal and echo choirs, repeated sections in parallel major and minor, and well-handled canonic techniques, make each movement a distinctive delight. "A bright girl, a jungle girl, shining quick as a snake" is the gutsy narrator of 'This Morning.' The voices have strong, syncopated rhythmic figures on "nn" and "la" sounds, and slide upward on "girl" for well-crafted-and enjoyable-instrumental effects. In 'To My Girls,' the poet tells her four graceful, nearly grown daughters. Reflective homophonic sections tell the mother's hopes. They alternate with ostinato patterns of simmering energy, reflecting the dancing excitement of four girls ready to burst forth, out into the world. The most percussive of the set, 'Sisters' features schoolyard-style partnered handclap patterns for singers in pairs. That's in addition to finger snaps, and cymbal, brush, and sticks-on-the-rim vocal percussion effects, all painting a lively picture of the "very same place" that "you and me," sisters, come from. 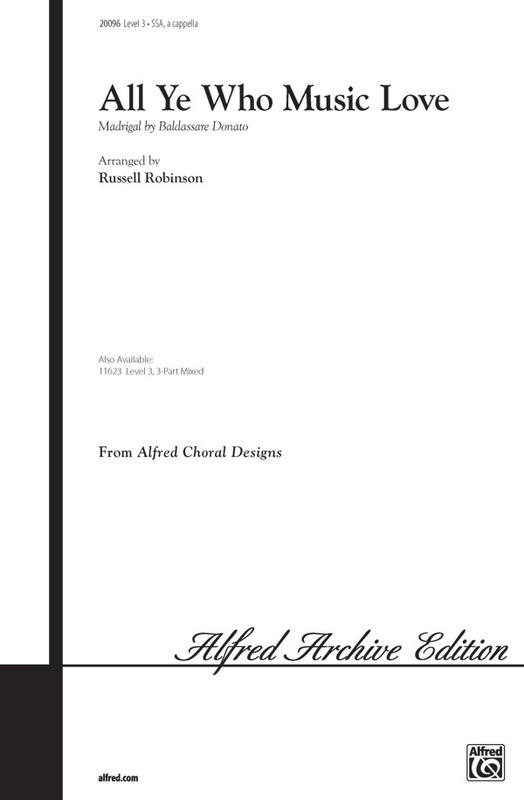 Jerry Weseley Harris has more than 500 published choral compositions, arrangements and editions, sold throughout the world. 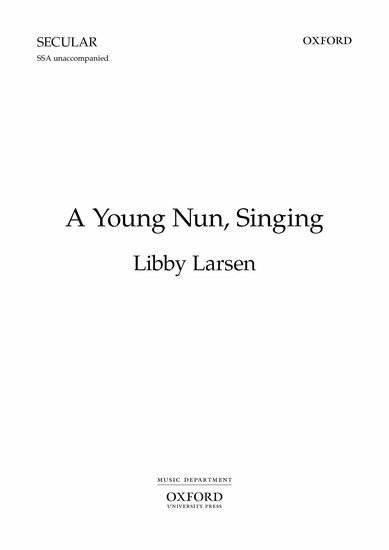 Here is a great collection of arrangements from some of the masters of the Renaissance period that are accessible and fun to sing. Displaying 1-50 of 581 items. 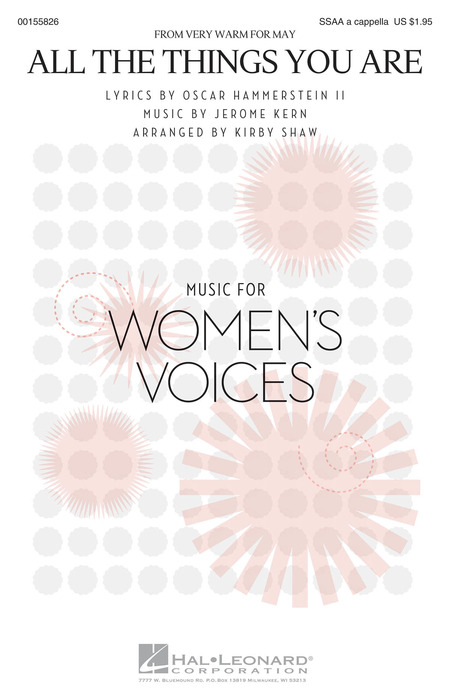 Written to excite and intrigue, this creative and improvisatory work for women's choir highlights the double meaning of the title. It's no wonder that winter itself creates snow wonder. Written to be sung in the round, all parts are easy, yet weave together to form an interesting fabric that works well in a spatial setting. 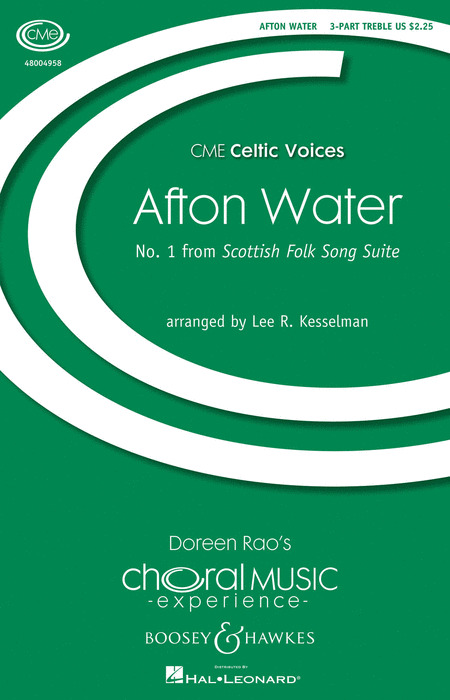 Alice Parker combines her incredible arranging skill together with her knowledge and understanding of American hymnody to bring us this wonderful setting of the ever-popular Shaker tune. The text of this work was written by a young junior high Irish boy who very soon after lost his life in a street shooting. And so the poem became the voice of all children, victims in a world of war and violence, and for their universal longing and hope for peace. Arranger: Kirby Shaw | Composer: Jerome Kern | Lyricist: Oscar Hammerstein II. All Ye Who Love Music was given its English text by Thomas Oliphant in 1837. This arrangement has been lowered one step from the original key of G major to F major. The soprano (Part 1) melody is basically the same; however, Parts II and III have been arranged iin such a way as to limit the range and for ease of singing, while retaining the sound and flavor of the original. As will all Renaissance madrigals, this piece should be sung lightly and lyrically. Treble choruses can experience Baroque style and performance practice in this setting from Bach's Motet VI. Performed a cappella or with the continuo accompaniment, it will make a fine addition to honor choir or festival concerts. Duration: ca. 2:15. A "tour de force" for the women's choir, this impressive piece is highly rhythmic, loaded with melodic interest, and extremely well-crafted. Looking for drama for your concert? This selection will fit the bill! This piece is the third in the set of "Three Marian Antiphons for Treble Choir" by Palestrina and edited by Raymond Sprague. As in the first two pieces, the editor has provided a clean and uncluttered score in order to provide a canvas on which the informed conductor and well-trained choir can create a fresh and true interpretation of this beautiful Renaissance masterpiece. David Del Tredici writes: "My setting of the 1727 New England Primer's Alphabet might horrify its Puritan author by transforming its simple text into an exuberant tour de force. Its 26 couplets tumble upon one another in tight three-part counterpoint, testing the young performers' range and endurance alike." "Angel of God" presents an opportunity for the women's choir to sing like angels. Use of the outer reaches of range, occasional antiphonal writing, and clever harmonic shifts make this an outstanding show-piece for the adept choir.